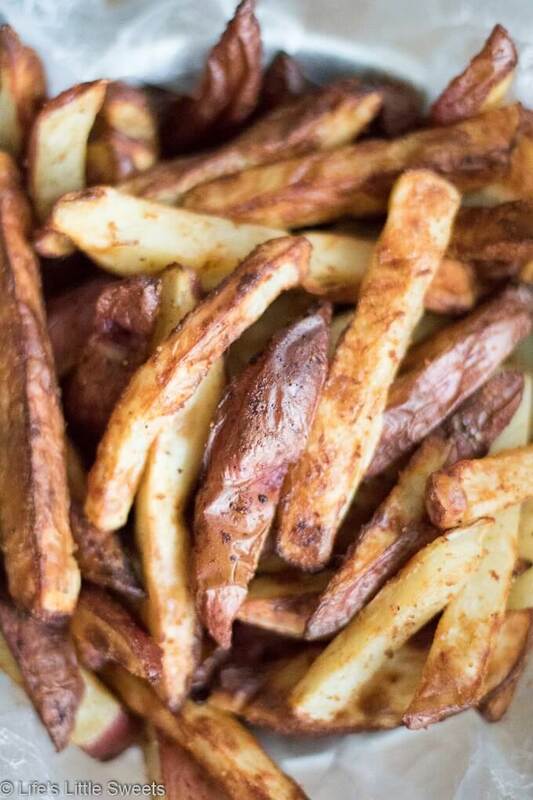 Air Fryer French Fries are savory cut potatoes seasoned with Kosher salt, cumin, smoked paprika, fresh ground black pepper, onion powder and a little bit of Canola oil. 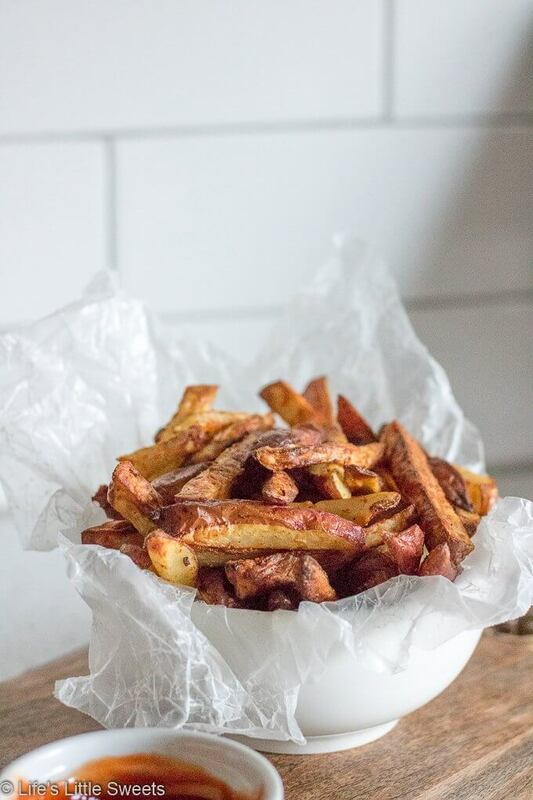 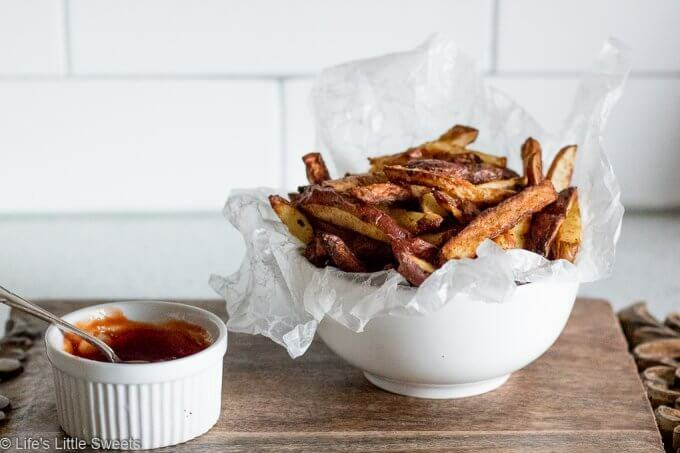 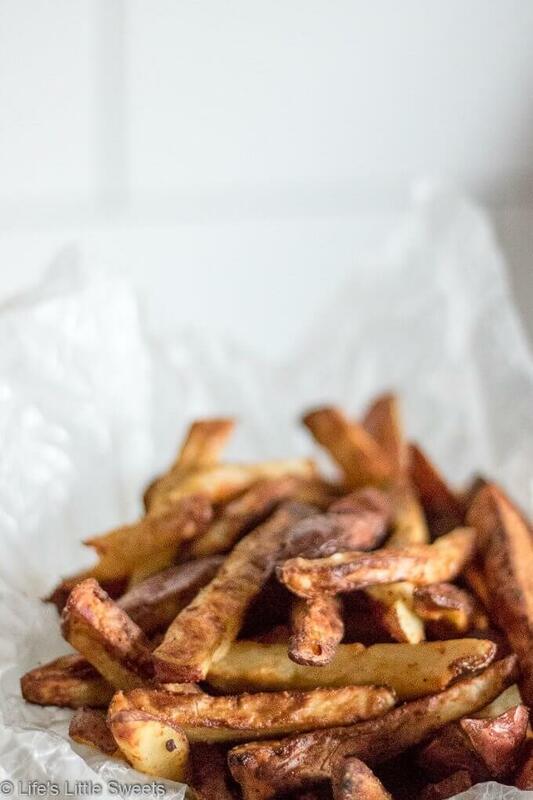 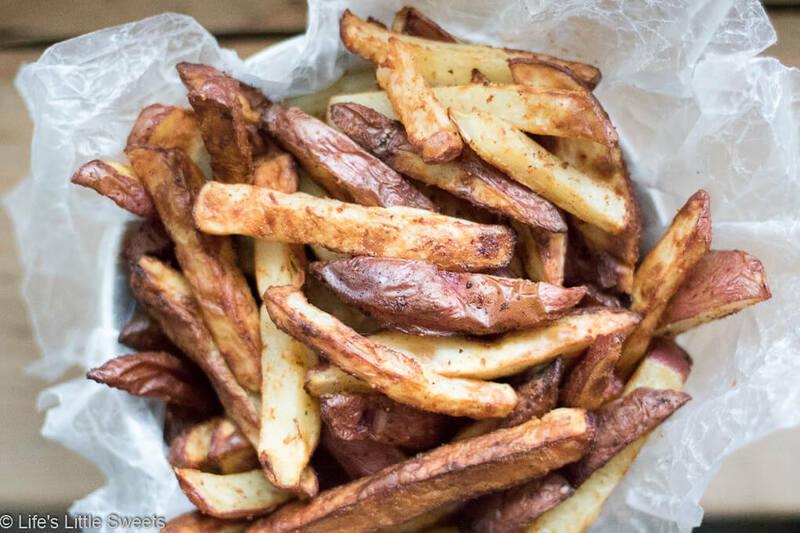 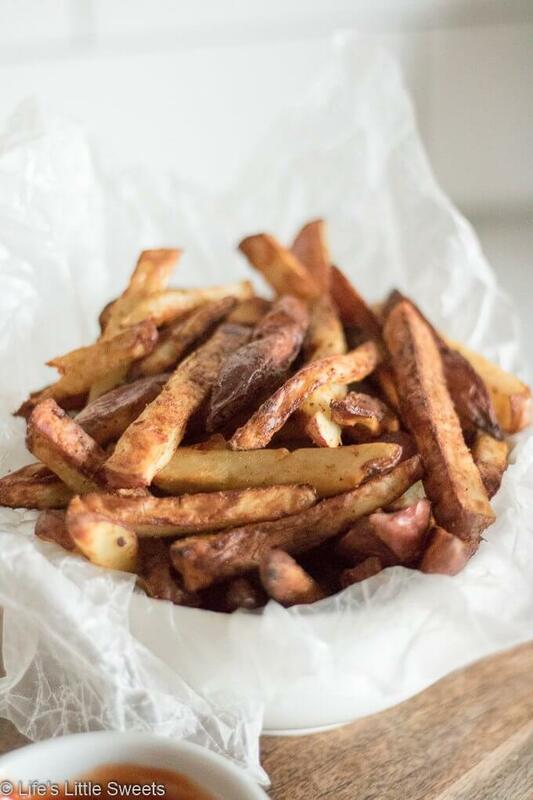 Try these easy to make, healthier than traditionally fried french fries using an Air Fryer. 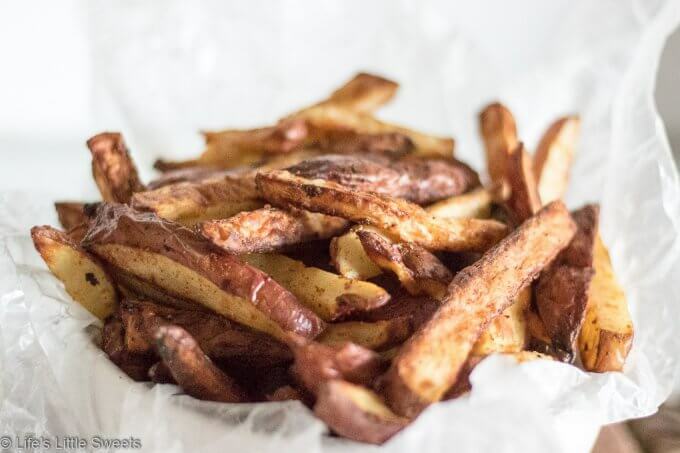 Hi Everyone, these Air Fryer French Fries are more healthy than your traditional fried French fry recipe because they use just 1 tablespoon of Canola oil and are cooked in an air fryer versus being fried in oil. 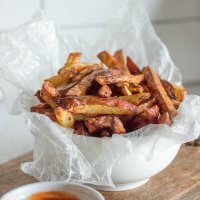 I LOVE French fries but I don’t like that they are usually fried in oil which makes them unhealthy. 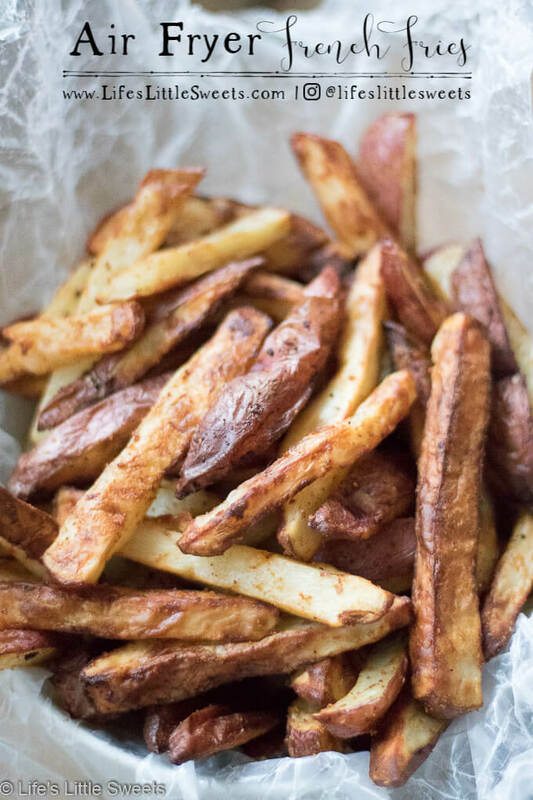 Having an air fryer makes making French fries not only healthy but it’s easy and they taste great. 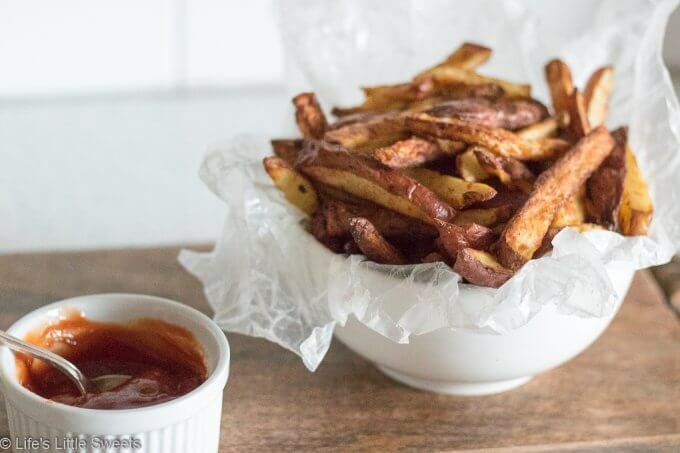 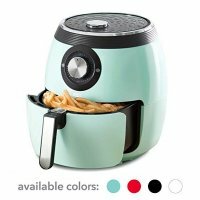 French fries are actually one of the most popular recipes to make in an air fryer. 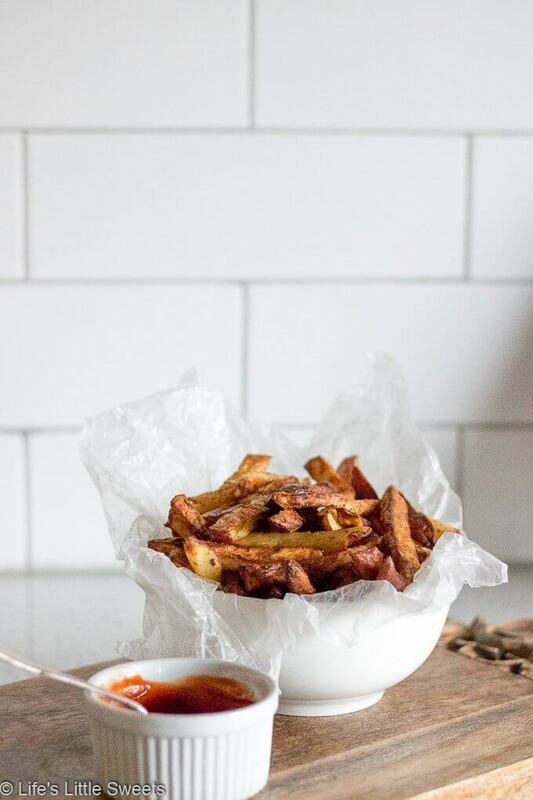 If you try this Air Fryer French Fries recipe and like it, please give it a rating in the recipe card and let us know in the comments below! 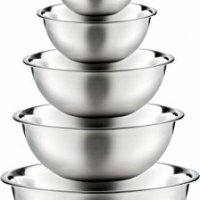 Thank you for reading and following along! 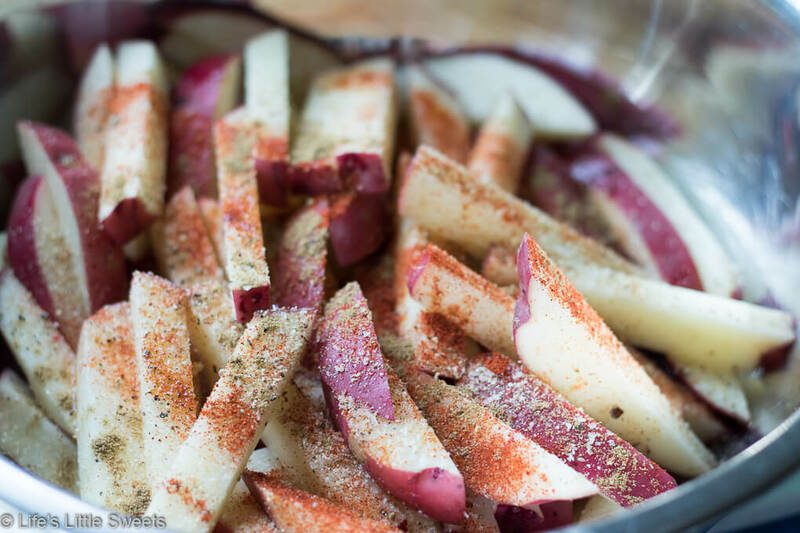 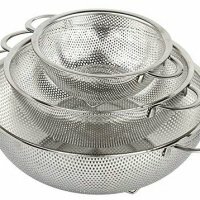 In a large mixing bowl, add prepared red potatoes, sprinkle the seasonings and Canola oil over them and mix until the potatoes are fully coated. 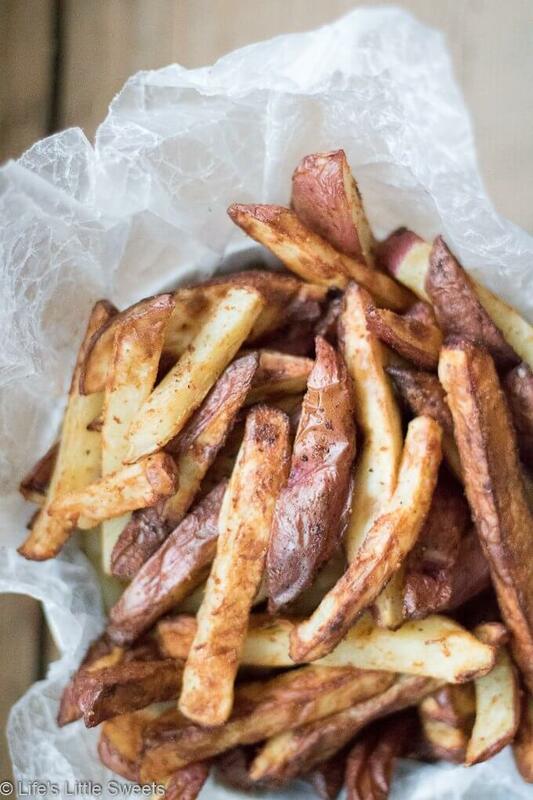 Turn the air fryer to 400 degrees F. Add the potatoes into the Air Fryer basket and set to 30 minutes. 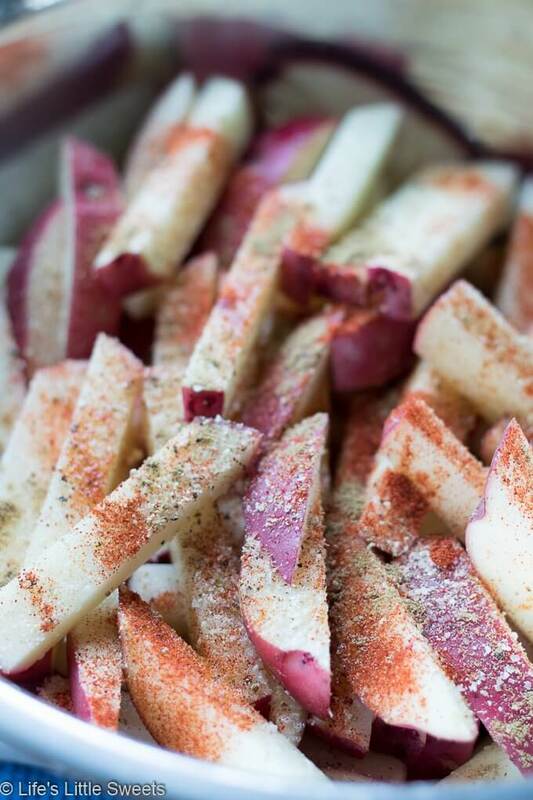 Half way through cooking toss the potatoes so that they cook evenly. The time may vary between different air fryer, make sure to check the potatoes when they are close to being done.